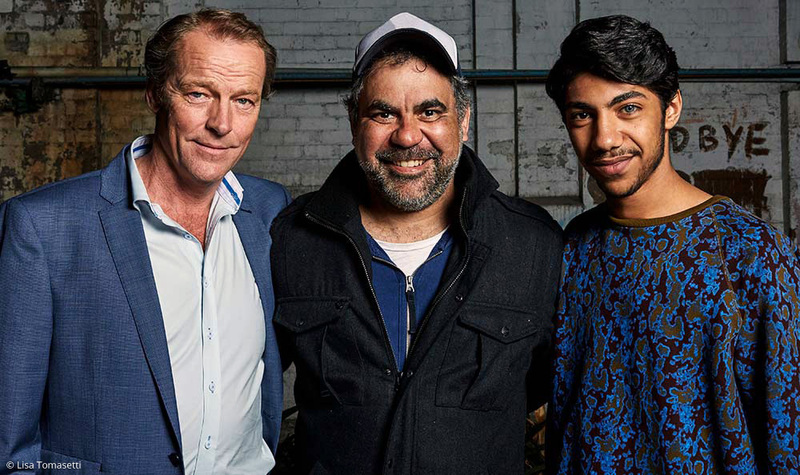 Cleverman: An Aboriginal sci-fi TV drama that delivers a thrilling cry for solidarity. Thought-provoking Australian TV drama Cleverman reflects a nation divided along racial lines but will resonate beyond its home soil. Its mixture of mythology, violence and political critique makes it essential viewing in an age of surveillance and institutional prejudice. Cleverman starts on a night bus and ends on the barricades. The Sydney-set six-episode mini-series created by Aboriginal writer Ryan Griffen is both culturally specific – in an article for the Guardian, Griffen talked about respectfully negotiating Aboriginal cultural protocols in order to depict traditional stories and rituals – and broadly resonant. It’s about how we live now: surveilled within an inch of our lives, bought (or terrorised) by turbo-capitalists in cahoots with politicians and torturers, and detained for being different, until we decide when and where to take a stand, and in solidarity with whom. 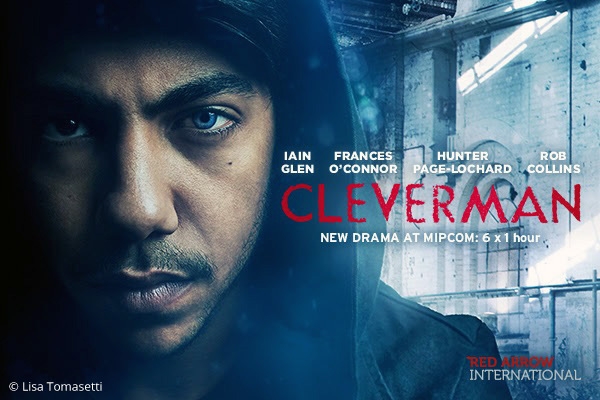 Reflecting on indigenous land rights, the incarceration of asylum seekers, police racism, environmental destruction, the ethics of genetic manipulation, gentrification and government corruption, Cleverman is clever in many senses: it’s thought-provoking near-future science fiction delivered through pacy storytelling with an indigenous twist, but it’s also witty as well as bittersweet. The dark, spiky humour of new superhero shows such as Jessica Jones is apparent when Kora, an ancient spirit from the Dreamtime forced into a human body, learns only one word of English – and applies it to the show’s putative (and mostly idiotic) Cleverman, Koen West, calling him “Arse”. It takes a full six episodes of disbelief, denial and disgrace for Koen to find his way to the top of the barricades, with his nulla-nulla (the Cleverman’s club) in hand. A cynical bartender and people-trafficker, Koen is as surprised as anyone when he inherits the spiritual leadership of his mob – although perhaps not as surprised as his older half-brother Waruu, formerly the Zone’s community leader, who had trained himself to become the Cleverman since his childhood. Familiar fraternal resentments spill out into violence that affects not only their family and friends, but the fate of all those who live in the Zone. ​A fenced-off area of warehouses and council flats, the Zone is home to a fractious coalition of the marginalised: Aboriginal families such as Waruu’s, poor white people, and the Hairypeople, who are not permitted to exit the checkpoint-strung Zone. Hairypeople, also known as Hairies or (in government and media parlance) subhumans or subbies, are figures from Aboriginal mythology. A shy species – bipedal like humans, but hirsute, long-lived and physically powerful – they emerged into the human world only six months prior to the beginning of the show’s narrative, presumably due to the human world encroaching on their remote locations. Waruu mediates between the human and Hairy communities in the Zone, creating a fragile – if basic – refuge that contrasts with the Containment Agency’s brutal detention centres and shoot-to-kill policy. While drawing on traditional stories, the choice of the Hairypeople also intersects with the ongoing racial politics of hair, as manifested in the US case brought by the Equal Employment Opportunity Office on behalf of Chastity Jones, who was refused a job because of her dreadlocks, which it lost. The physicality of the Hairies’ difference is of a different order from the “prawns” in District 9 (Neill Blomkamp, 2009), with which the show could be compared. Rather than spectacular, overt SFX and lurid prosthetics, the Hairies’ hirsuteness is realised by naturalistic effects from the Weta workshop, based on designs by Jake Nash of the Bangarra Dance Theatre. The effect is one of excess rather than total alienness – the Hairies can “shave down” and pass as human – and the practical effects, often shown in close-up, achieve a level of lived-in, almost palpable realism that contrasts sharply with the deliberate visual thinness of the digital FX that create the floating screens and drone camera shots that belong to the technologically driven white settler world. Drawing on – or rather, drawing out – a common trope for depicting urban people of colour in contemporary action films, the Hairies’ speed and strength is expressed through superb parkour skills that keep them one step ahead of surveillance: but their abilities also attract the more sinister purposes of Jarrod Slade. 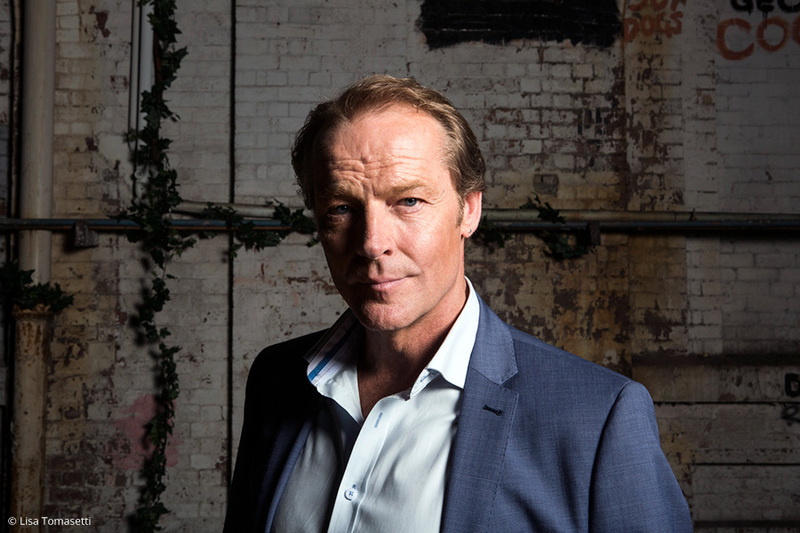 The main white character (slimily played by Iain Glen), Slade is a multi-millionaire scientist and media mogul who, as the show slowly reveals, is controlling both the Containment Agency and government minister Geoff Matthews, while presenting himself as an ally to Waruu. He has Frankensteinian designs on the DNA of the Hairypeople – designs to which he is willing to sacrifice his own wife, Charlotte, who runs a clinic in the Zone – and on the Cleverman’s direct link to the Dreaming. He had the previous Cleverman, Waruu and Koen’s Uncle Jimmy, in his pocket, leading Jimmy to kill himself by summoning the Namorrodor, a creature from the Dreaming supposed to correct the balance Jimmy had disturbed by delivering Kora’s spirit to Slade. Implicit is the insight that the Cleverman needs clever women: Latani and Alinta lead the way for true reconciliation, while Linda and Nerida pick up the pieces left by Waruu’s resentment of Koen. Even Charlotte, the courageous doctor whose clinic literally keeps the Zone alive, is on the verge of realising the depth of her husband Jarrod’s deceit, and may be key to uncovering his plans in season two. Which has to come soon, because we need it. Koen, Nerida, Linda, Djukara, Latani, Alinta and their mob stand on barricades of old cars and oil drums, and on the verge of all-out war with the CA, whose armed guards intend to destroy the Zone and kill all Hairies. We know they will prevail, but want to know how and what comes next, because in Cleverman, black lives matter. Superheroes are a dime a dozen these days, and in the midst of a summer blockbuster season saturated with Marvel team-ups and villainous DC squads, it’d be understandable if Cleverman, Sundance TV’s latest sci-fi offering, flew under a lot of viewers’ radars. After all, too much of the same thing can get boring pretty quickly. Thankfully, creator Ryan Griffen’s gritty urban Australian epic — which premieres tonight on SundanceTV — has a lot to set it apart. When the showrunner set out to create the six-part series that follows a group of gifted beings struggling to survive amongst a human species that fears them, he did so with one goal in mind: to give his young son, a comic book junkie like his dad, an idol who looked like him. Thus was born Cleverman, the aboriginal superhero show we never even knew we needed. 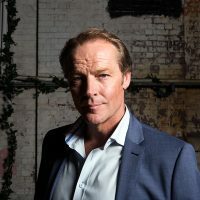 The series is steeped in lore that, while familiar to those Down Under, probably won’t be as recognizable to Stateside viewers — which in some ways makes it even more interesting to watch. The series also isn’t lacking in contemporary resonance. Focused on the conflict between humans and a race known as “Hairypeople” — creatures from ancient mythology named for the copious amounts of fur covering their bodies, as well as their supernatural abilities — Cleverman toes the line between straight-up sci-fi fantasy and an allegory-heavy social commentary. The show explores how governments can use propaganda and the media to stoke fears. The Hairypeople, beings that have peacefully coexisted with humans for thousands of years — they pre-date humanity — find themselves hunted by a military outfit known as the Containment Authority charged with rounding up any Hairy who dare leave The Zone, a kind of makeshift ghetto for poor aboriginal humans and Hairies with nowhere else to go. The two groups live side by side in squalor, occasionally fighting each other, but mostly working together to convince those in The City — a place where society’s upper-crust dwells — that the Hairypeople aren’t a threat. That task is made more difficult when bodies begin turning up. Innocent civilians are being slaughtered by some kind of beast, though the media and the government are quick to place the blame on their supernaturally enhanced co-inhabitants. Griffen’s dedication to his source material — years of aboriginal folklore passed down from one generation to the next — is palpable on-screen, not just through his storytelling, but through the show’s casting. Over 80% of the actors on-screen are indigenous, which makes the show not only incredibly diverse, but authentic, as well. In an age of television (and film) where those qualities are sorely lacking, especially in the superhero genre, Cleverman isn’t just refreshingly original, it’s groundbreaking. Cleverman first look review – wickedly exciting Indigenous superhero story. A superhero story with too much to think about? What a great problem to have. The first episode of Cleverman – wickedly exciting and frantically thoughtful – will be enough to get you hooked. Cleverman isn’t just refreshingly original, it’s groundbreaking. An Aboriginal sci-fi TV drama that delivers a thrilling cry for solidarity.